You’ve had your eye on new kitchen cabinets for some time now. You’re just waiting for that small cash windfall to enable you in the endeavor. Unfortunately it’s only more time that comes to pass. Your budget never expands, but fret not. There are options to updating those cabinets without replacing them. The best solution – you are going to re-face your cabinets! What does re-facing involve? Naturally there are a number of aspects to consider. Ideally, your cabinets should be healthy enough to last another ten years. If so, they will be able to withstand all that goes into restoration. 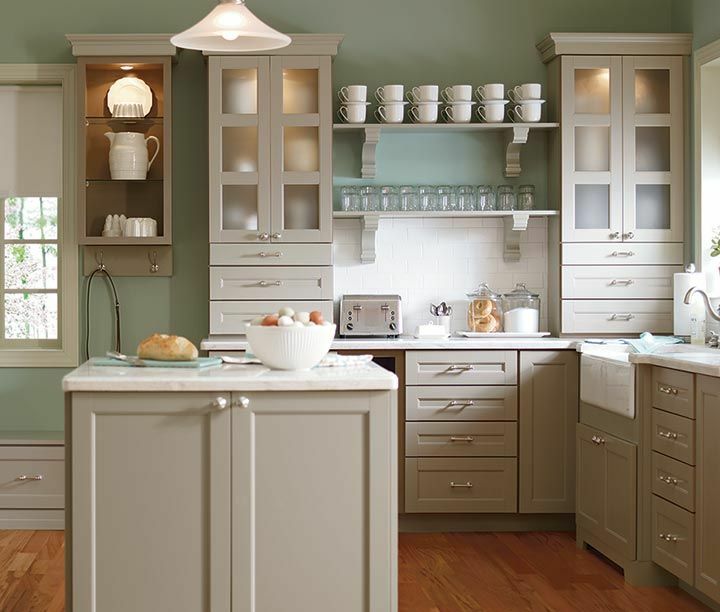 However, if you’re looking at cabinets that are structurally impaired or shoddy, water-damaged, or just too worn, they may not be compatible with a refinish, in which case all-new cabinets are in order. But if your existing cabinets are indeed in decent shape, you’re good to go. One convenient advantage to this project is that you won’t need a permit (unless you are tweaking with something electrical or plumbing-wise) and you are likely looking at a timeframe of less than a month! It all just depends on what you plan. What themes are you considering? You’ll want the cabinets to appear in harmony with the rest of the kitchen. With a bit of skill and savvy you can complete the job yourself at a minimal cost. But be aware of the possibility that you may find that the only way to do it right is to hire a professional. You may come across some damaged surfaces. Thankfully, wood can take a beating and yet still be revived. As long as it is not warped or water damaged you are cleared to continue. You can repair the unit and sand out the scratches. 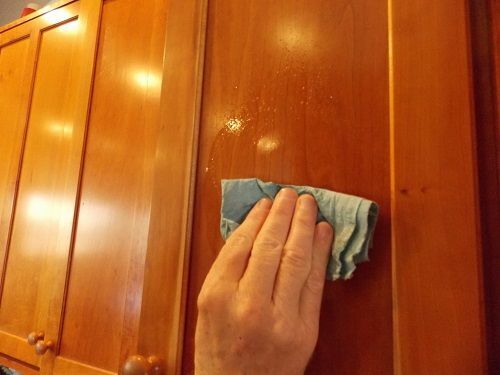 Start by cleaning the cabinets with a mineral spirits–dampened rag to remove surface contaminants. Thoroughly scrub them with a 50/50 solution of household ammonia and water. Rinse them and wait until they’re dry. 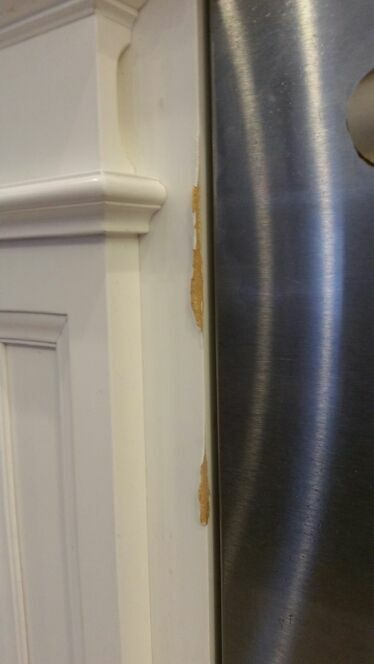 Sand the cabinets with 80-grit sandpaper to remove bumps from the surface. Then, add a new coat of stain and varnish. If you are doing a simple repaint, you can likely complete this yourself. For best results, you may want to bring in a professional for such advanced work. 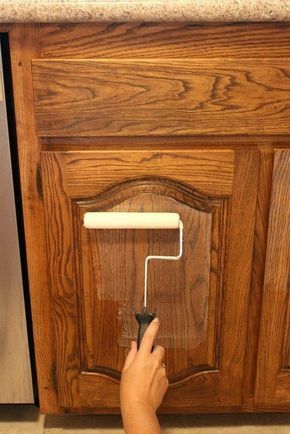 The actual process of refacing your kitchen cabinets will include covering the exposed frames with a thin veneer of real wood or plastic laminate. You’ll want to select doors and drawer front replacements to match or complement the new veneer. Completing the process, as aforementioned, are the additions of new hinges, knobs, pulls, and/or molding. On the very low-end, in the form of a basic paint job, you may be looking at just a few hundred dollars. Some pay as much as around $5,000 to $9,000 for more extensive work. If the project involves replacing the countertop and appliances, the cost will be in that high end. Typically, a professional cabinet refacing for a standard 10-foot-by-12-foot kitchen starts at around $1,000 to $3,000 for laminate. If you want real wood veneer, you’re looking at a much higher $2,500 to $6,000. As you can see, there is a mixed range of levels to consider when it comes to refacing. Do-it-yourself for a couple of hundred or go-all out and have it professionally tackled. However you choose, re-facing your cabinets is an effective way of refurbishing your kitchen at an affordable cost, and anybody can put a good face on that!